I have been fascinated by meta analysis for a long time. It is so obviously the right way to approach the true effect of an intervention. Recently, an old binder presented itself in a pile of shite bunch papers I meant to read but found myself throwing in the bin tidying away. It contained the draft of a database of physiological data from the first years of my PhD. 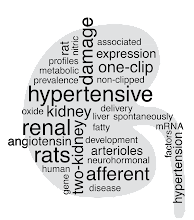 The idea was to compare all the baseline data from our kidney research group in Uppsala to look at the effect of the models as such and the interventions that were used repeatedly. With the insight of the intervening years it seems a lot less interesting now, but I still have the feeling that some areas of experimental research could benefit from meta analysis. Which brings us to the the story I am about to tell. Four or five years ago, when I moved back to Uppsala, I got offered a lecture on physiological changes in the elderly. It was to be part of a final year course for the master in biomedicine programme. Just a single hour to show how all the physiology from the rest of the programme changed with age. To compare and contrast ageing as such with the accrued ailments of living for a long time, and distinguish these from the chronic and age related disease. It was not a huge success, but given the title I was not too disillusioned. The second year I was given two hours. Still a bit on the short side, but one hundred percent better than one. It is not the most popular lecture, but I have had it for five years now and one of the things I teach is that some parts of ageing is caused by metabolism itself. The burning of oxygen singes the organism and with time it will break much like the paneling in an old sauna. As proof of this I used the idea of caloric restriction, which can prolong life in many strains of yeast, mice, and rats. Then, in 2012 an article was published on the effect of caloric restriction in the Rhesus monkey, a primate, and reasonably the closest relative to humans in which an experiment could be expected to be finished any time soon. It showed no effect. I happily included this in my lecture as a counter-point. Until in 2014, when updating the lecture for a new semester, I found that another experiment with caloric restriction in Rhesus monkeys had published their data and found a clear difference. This made it hard to continue the lecture as I had done, I could just show both studies and say that we don't know. But the total number of animals included was quite large, and the effect measure very straight-forward. Death. So, I performed a meta analysis of mortality of these two studies, and a third smaller study published in 2003. This is the story of that analysis. Quickly I installed the R package rmeta by Thomas Lumley and set to work. It is quite easy really, we start with setting up a table of results from the included studies. The table should include the total number of subjects in each group, and the number of deaths per group. 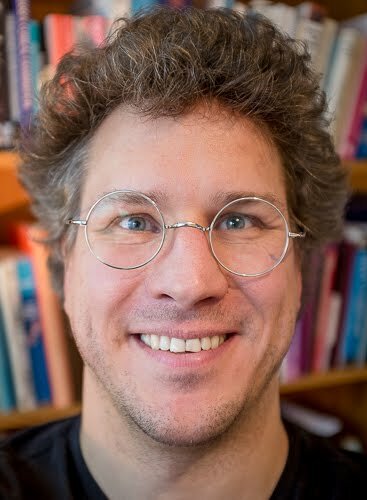 Hultström, M. Acta Physiol (Oxf). 2015 Feb 14. doi: 10.1111/apha.12468. The we push this trough the rmeta function meta.MH(). To get a forest plot, we just run the plot() command, which has a default for handling the result of meta.MH() in the form of a forest plot. If you have a larger meta analysis there is also the funnelplot() that can be used to assess publication bias. Anyway, the result is quick and easily understood, which is really one of the major strengths of the forest plot. 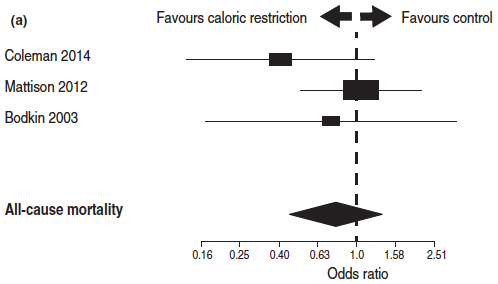 There was no significant effect of caloric restriction on all cause mortality in Rhesus monkeys. Or, rather there was a small, clearly non-significant, effect. One of the reviewers asked what would be needed to show if this effect was true. That is, could I please perform a power analysis. So, I installed the pwr package and ran a 2p2n.test() using the most generous effect estimate, i.e. a hypothetical study that ran to completion where the whole control population had died giving an effect of 0.08. This resulted in a required population of 2806 subjects to reach 85% power. This is the power-level which is normally used as the basis for power calculation in clinical studies. However, the age-related mortality was a different story that you can find in the actual article. The next thing that surprised me was how difficult it was to get this simple little analysis published. It appears that experimental journals don't publish meta analyses, and clinical journals that publish meta analyses, don't publish experimental results. Finally, I found a benevolent editor at Acta Physiologica who permitted it to be published as an editorial. So that is where it resides today, and finally I can give a fairly clear answer in my lecture on the effect of reducing metabolism by caloric restriction on ageing and on mortality. Only problem is, I now have to explain meta analysis and forest plots before I can show the actual data. And, no I am not going to starve myself so that I can avoid some diseases we can treat in favour for a frailty for which the only known treatment is eating more.